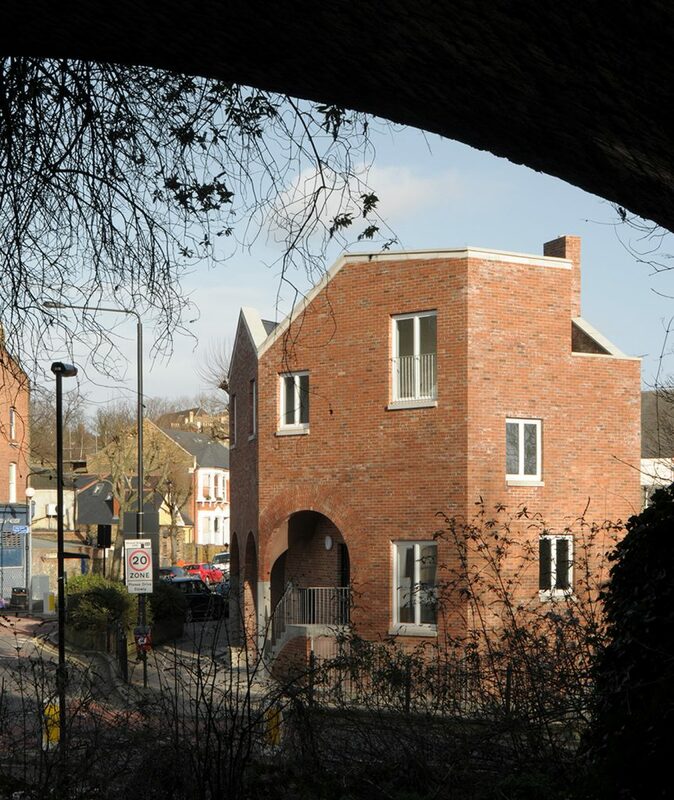 This council-led development of 9 new-build Private rental sector (PRS) houses is located on a brownfield site in Stanmore, Harrow. 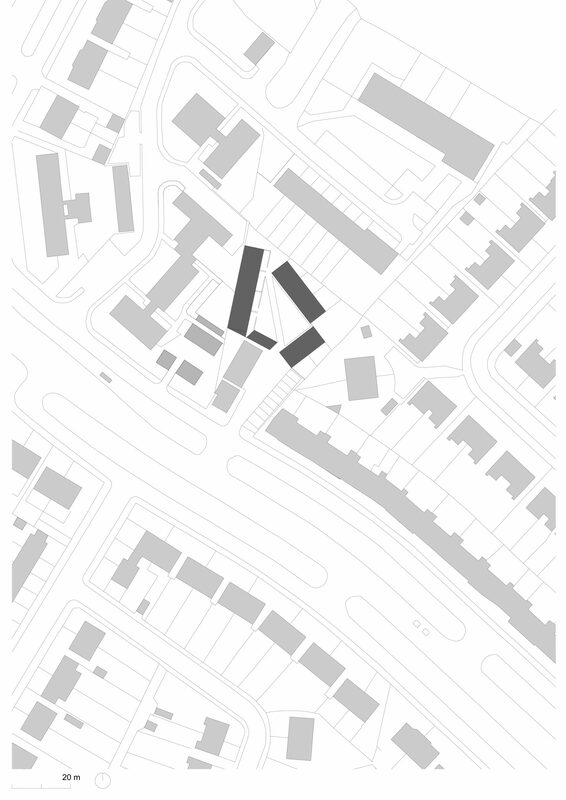 The site is owned by Harrow Council and is approximately 0.16 hectares. 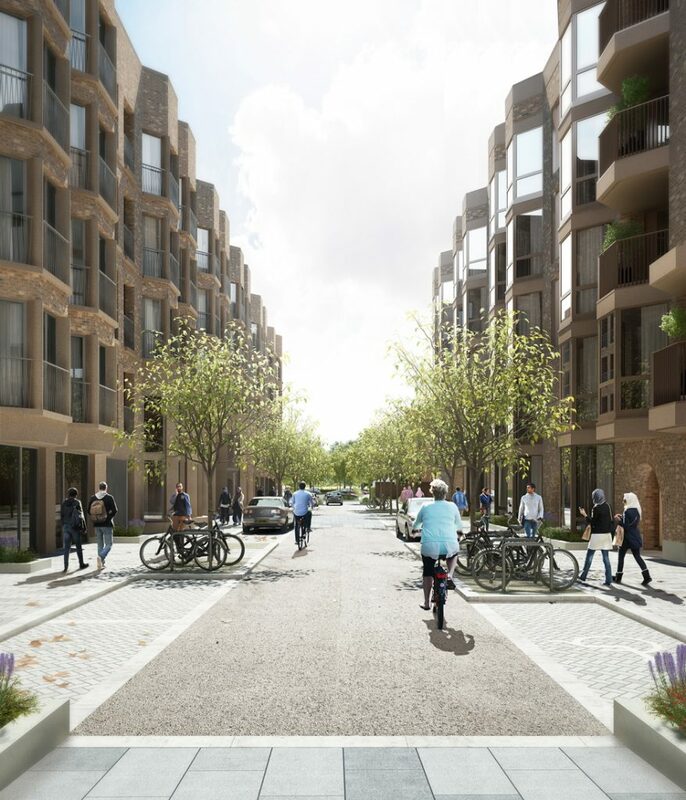 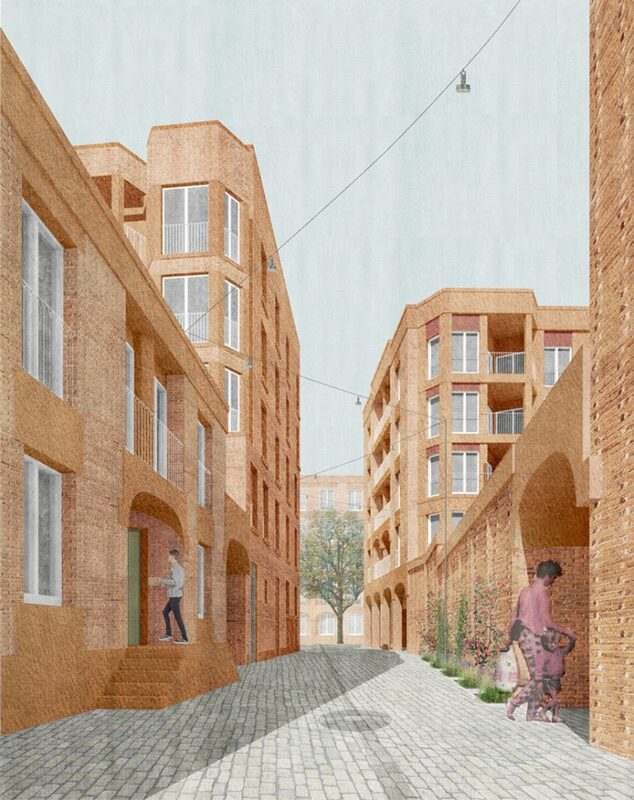 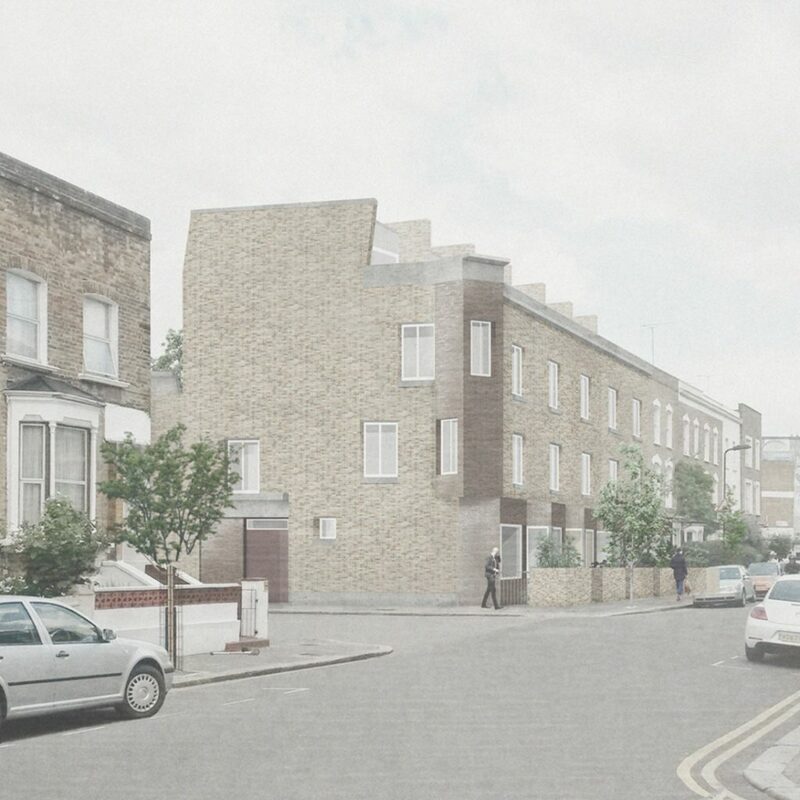 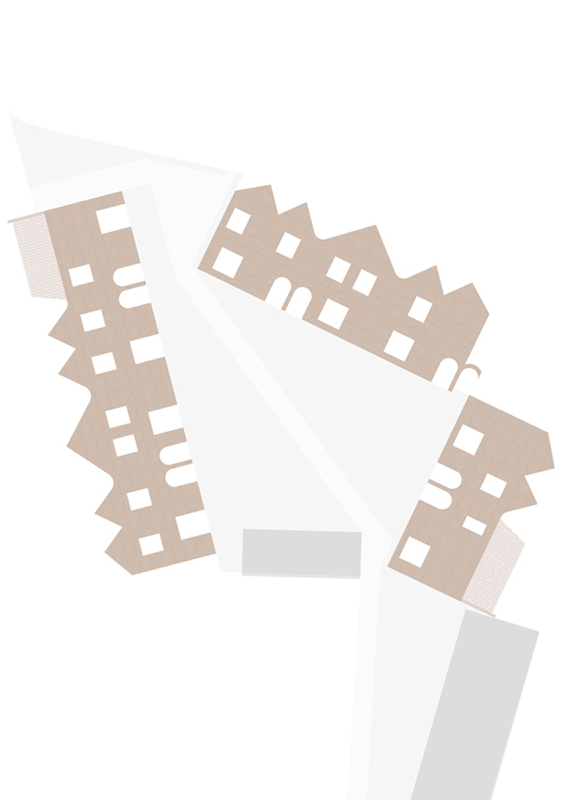 The proposal reacts to a number of constraints, including the irregular configuration of the site, the retention/protection of trees of amenity value, underground services and rights of light of neighbouring dwellings. 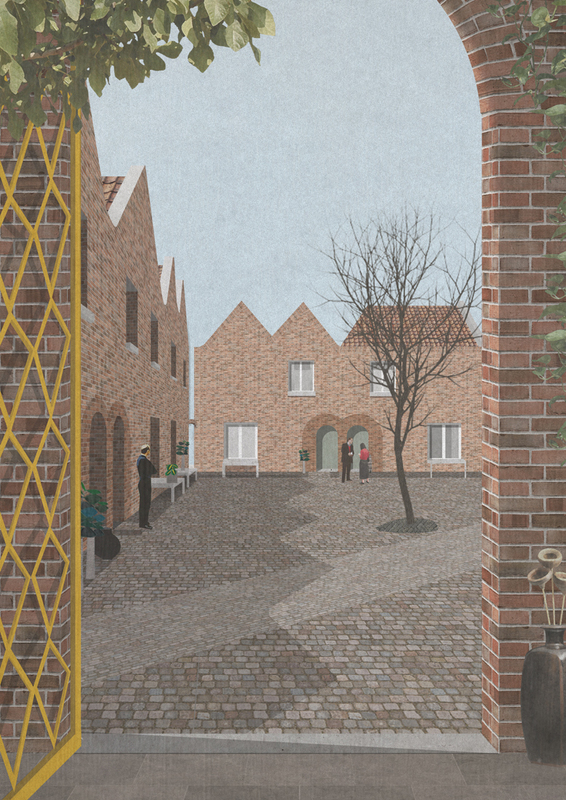 The courtyard design is a contextual response to the challenges of the site, and takes reference from the Flemish béguinages. 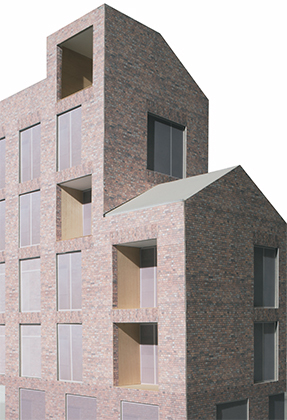 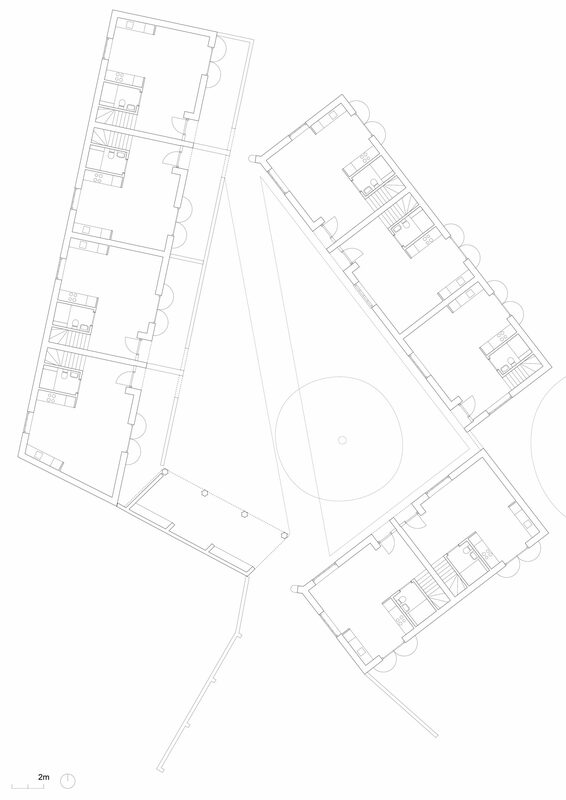 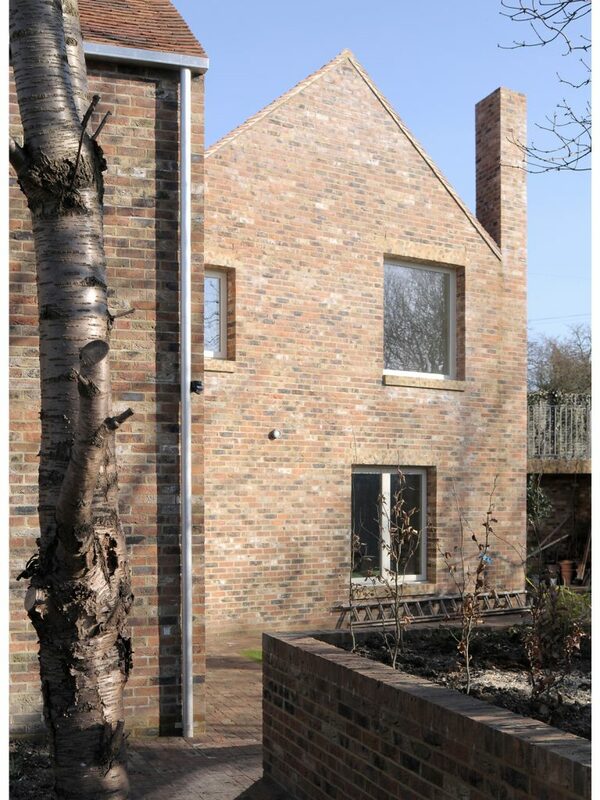 An ensemble of low-rise two bed cottages are arranged on the site around a shared communal courtyard. 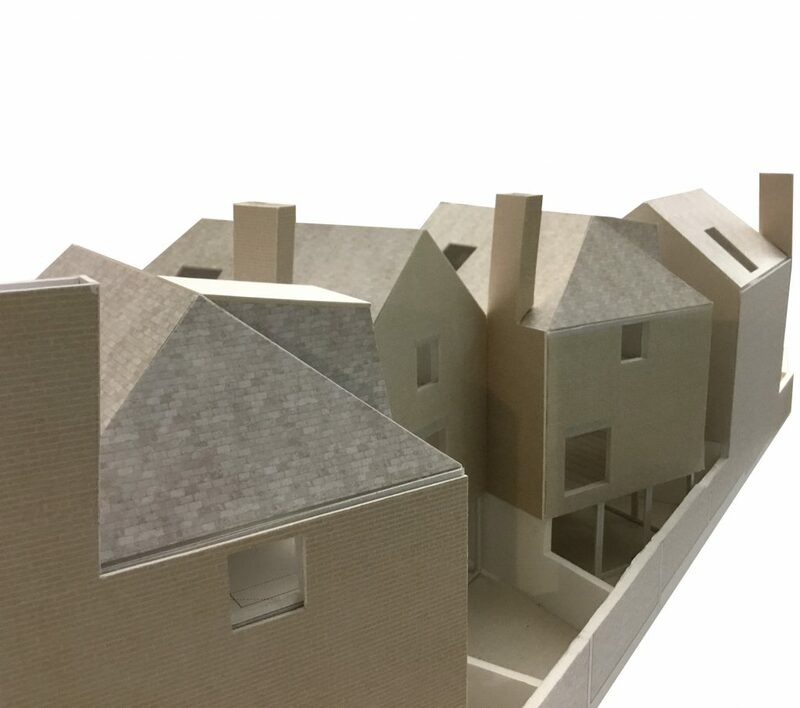 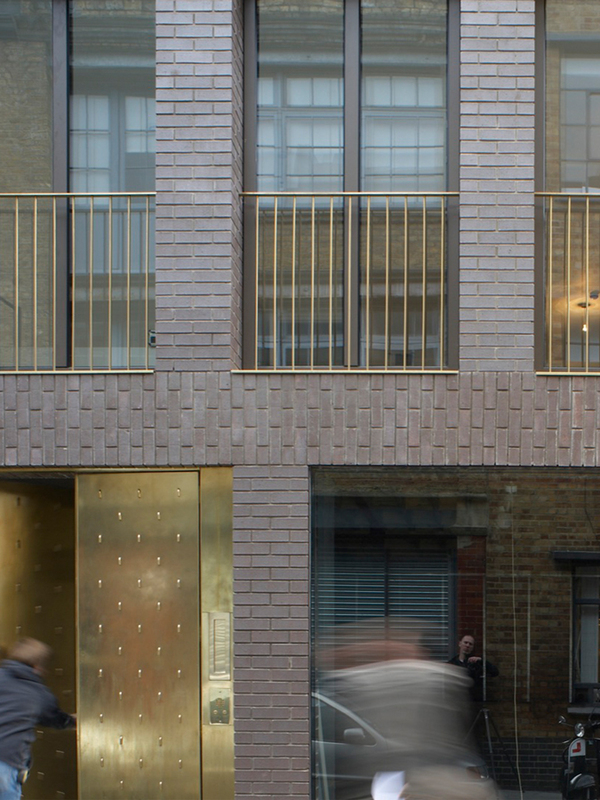 The design language of the dwellings has been carefully developed to give the scheme a coherent identity, which both engages with and heightens the character of its context. 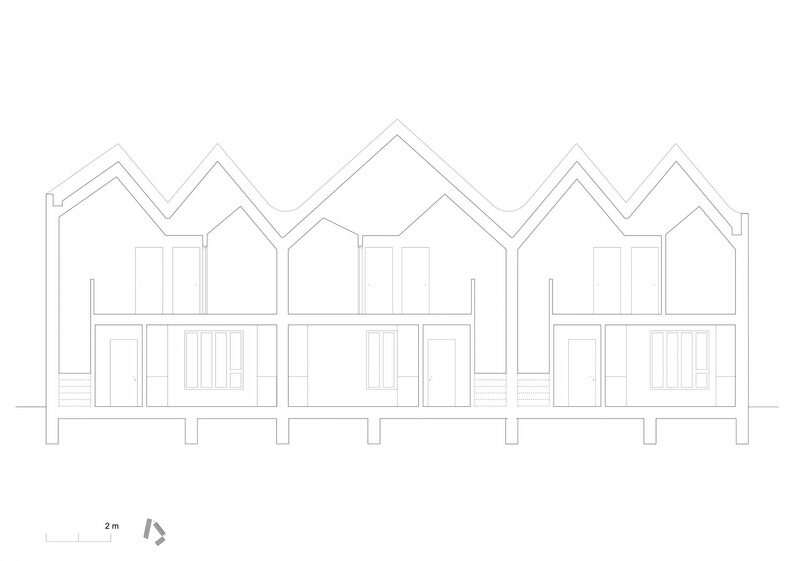 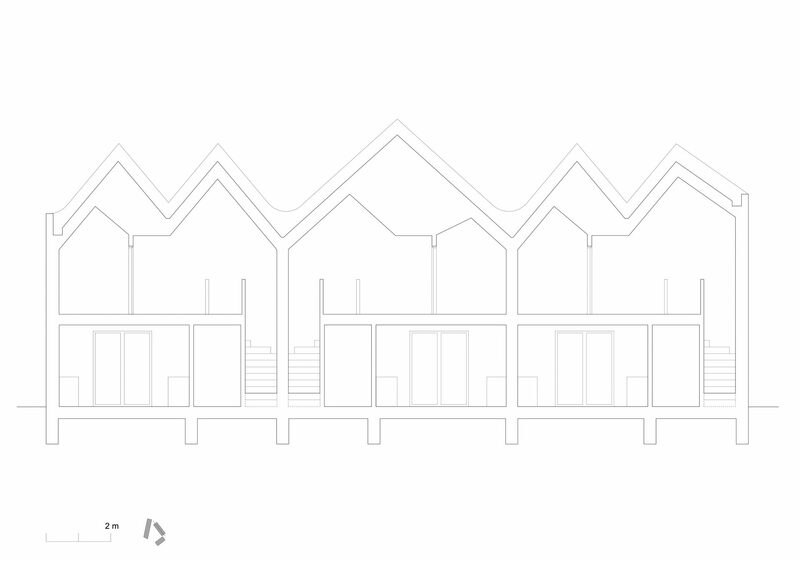 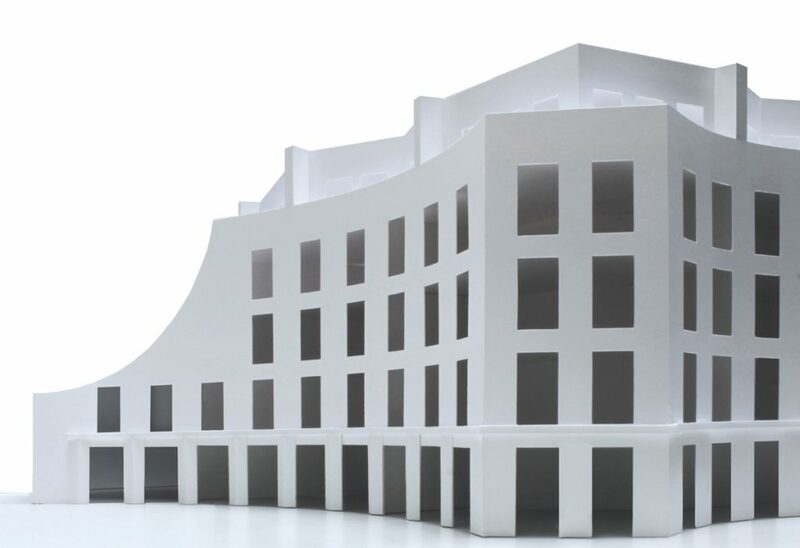 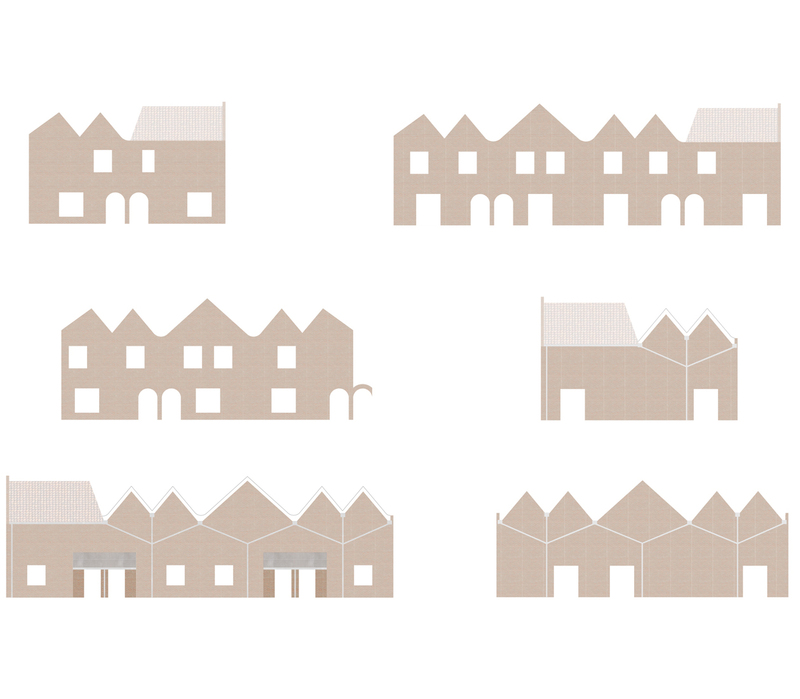 One simple house type is arranged across the site; within this consistent expression, variation and distinctiveness is found by combining the houses in different ways; as rows or as mirrored pairs depending on their location and immediate context. 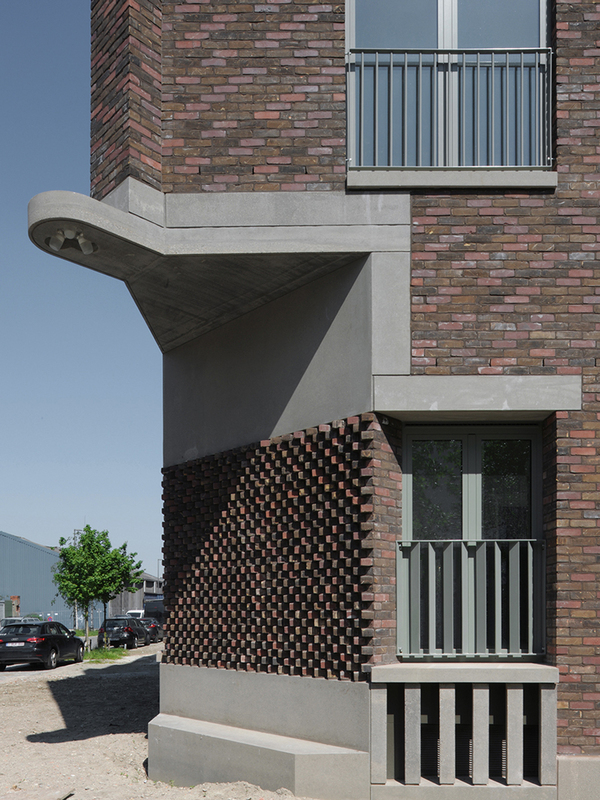 The dwellings are formed of robust brick facades, which are enhanced with special moments of brick detailing and pre-cast concrete elements, which mark special moments such as entrances and parapets.